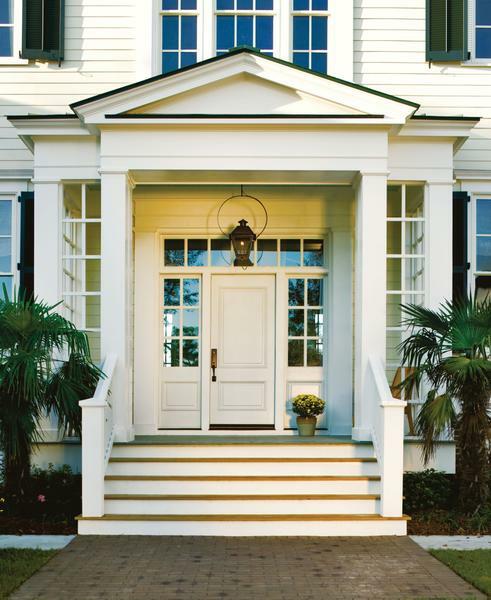 How Do You Choose The Right Front Door For Your Home? First impressions matter. The perceived value and curb appeal of your newly remodeled or custom home begins with the exterior appearance. Choosing the right front door for your home is very important because it links the aesthetics of the outside of your home to the inside space. Exterior doors come in various price points, in different materials, in many styles and with countless features. You can have a front door custom-made for your home or select a 'stock' door. 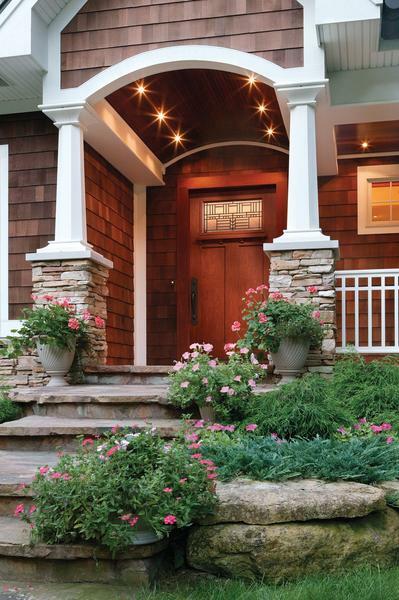 With all of these options, how do you choose the right front door for your home? 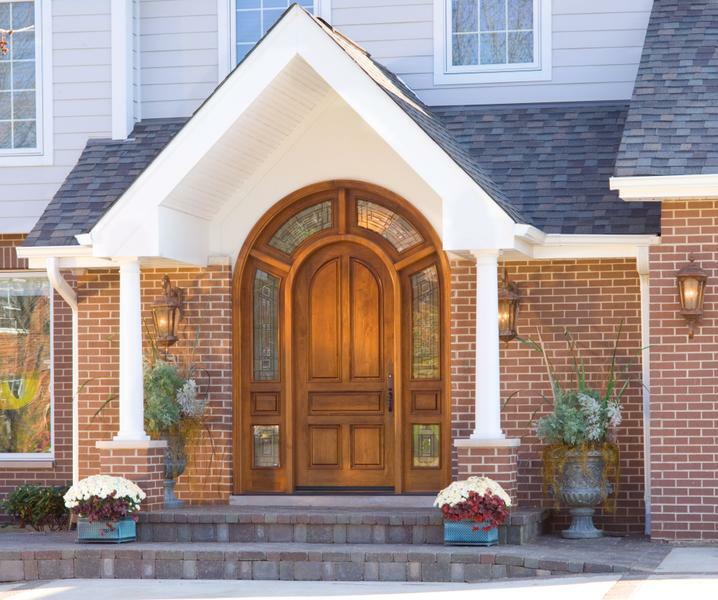 Front doors made of wood offer beauty and versatility as they can be made from fir, pine, mahogany, maple, oak, cherry, walnut, alder or other types. Each species has a range of characteristics, like grain, color and sap content, that contributes to its unique appearance and performance. Exterior wood doors are available in pre-made or 'stock' versions, or you can have one custom-made for your home. Many stock wood doors are wood veneer over an engineered wood core. This type of construction minimizes warping, expansion and contraction that happens in solid wood doors. 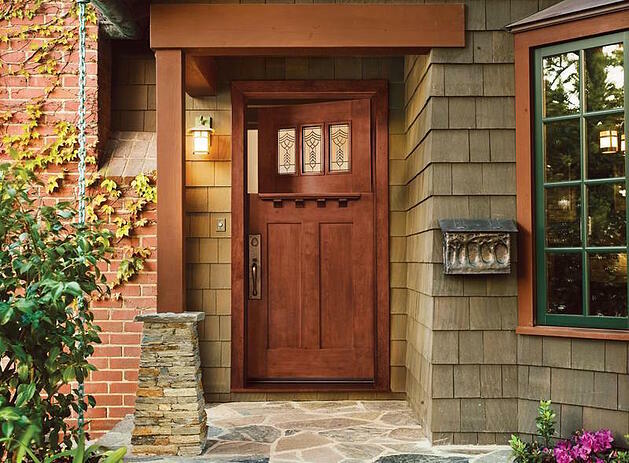 Be aware that exterior doors made of wood can be expensive and will require maintenance. The wood must be regularly refinished, or painted, and sealed properly to preserve its natural beauty. 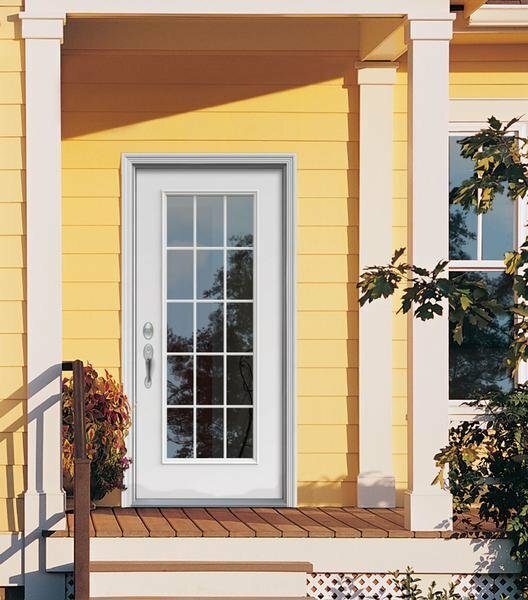 Fiberglass composite doors are extremely durable and are almost maintenance free. 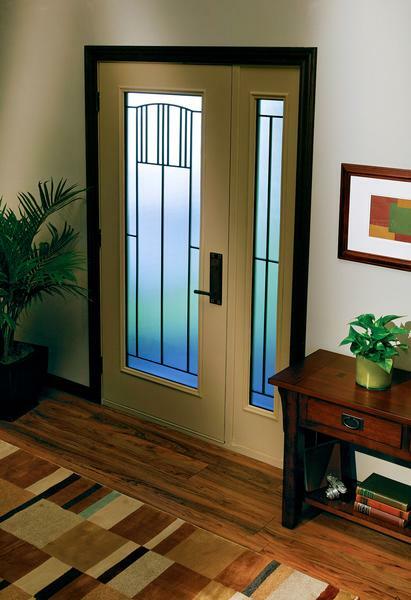 Fiberglass doors have the look and feel of genuine wood, and can be stained to match cherry, oak, walnut or mahogany. Inside, they have a foam core that offers excellent insulation properties for energy efficiency. Since this material is so durable in all climates, these doors often come with long warranties and they are relatively affordable. Steel offers strength for superior security and durability in most climates. Steel doors cost the least, too. These doors have an inner frame of wood or steel and a foam insulation core for energy efficiency. Most steel doors are coated with a finish that provides rust-resistance and should require only minimal maintenance through the years. An all panel door is made of rails and stiles that are inserted into a doorframe. The type of door offers the most privacy and security, as there are no glass panels. However, sidelights or transom windows can be added to create a custom look. A glass panel door is comprised of rails, stiles and glass that are inserted into a doorframe. This type of door allows plenty of sunlight to enter your home, and you can choose from 1/4, 1/2, 3/4 and full views. Manufacturers offer a variety of options for the glass, such as textured, tinted or decorative, so that you can have the look, and relative privacy, you desire. Energy efficient glass is offered by most manufacturers so that your home can stay cool in the summer and warm in the winter. You can also choose from options such as impact resistant glass, tempered glass or sound reducing glass. A Dutch, or stable, door is made from two pieces so the upper and lower sections can operate independently. This type of door evokes a nostalgic charm and allows you to let in fresh air while keeping children and pets safely inside. A mechanism known as the "quadrant" allows the doors to be latched together so they can be opened or closed as one unit for safety.